You've probably visited enough churches and cathedrals to notice that over the past couple thousand years, Westerners perfected the domes, spires, and elaborate facades of their religious buildings. But let your feet take you much, much further east. 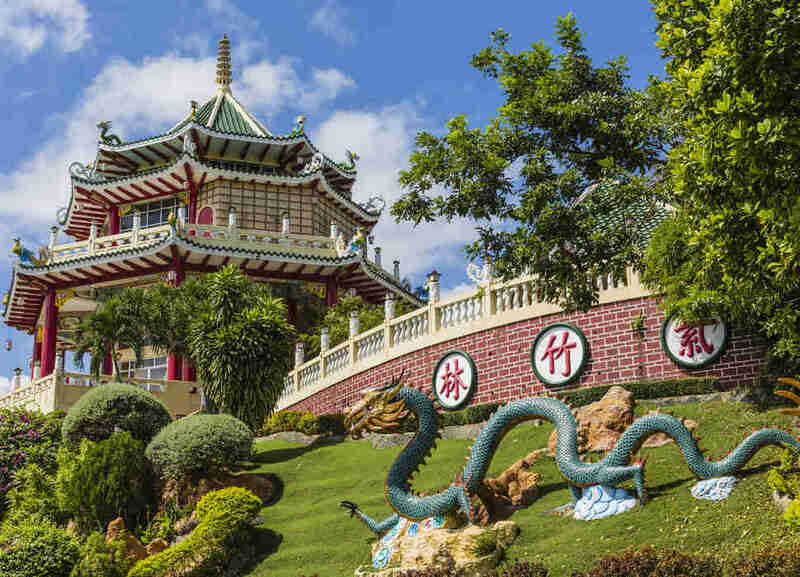 While Europe was staining glass and smoothing stones, architects in India, Southeast Asia, China, and Japan were erecting Buddhist and Taoist temples with their own distinct flair: pagodas, which are just as welcoming, just as stunning, as their Western counterparts. 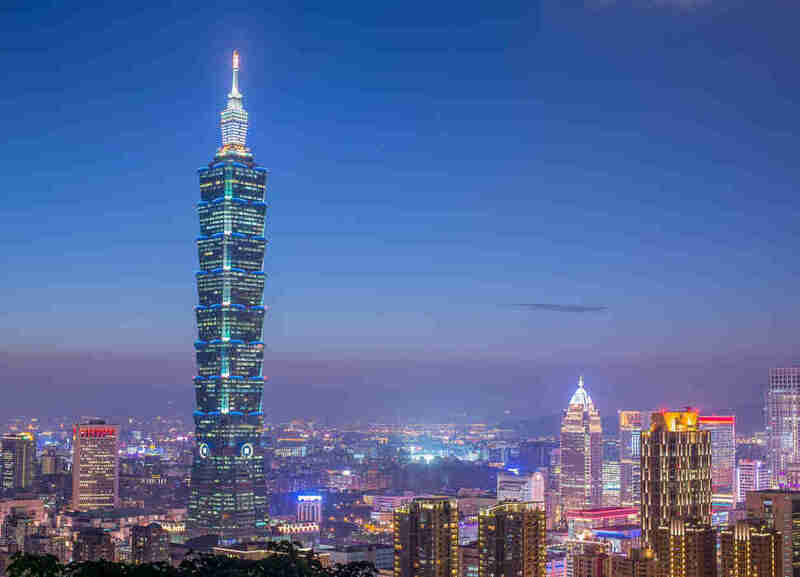 Some of the oldest date back to ancient times; others keep popping up as shrines or monuments or curiosities -- or, in the case of a Taiwanese landmark, one of the most technologically advanced buildings in the world. 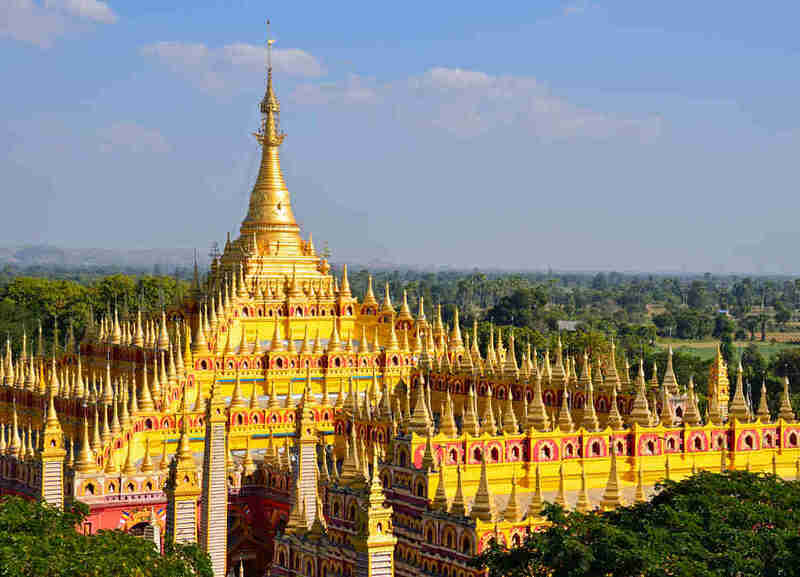 The architectural features are distinct: ornate eaves, stacked pedestals, and -- in places like Thailand and Myanmar -- their own spectacular take on spires and domes. 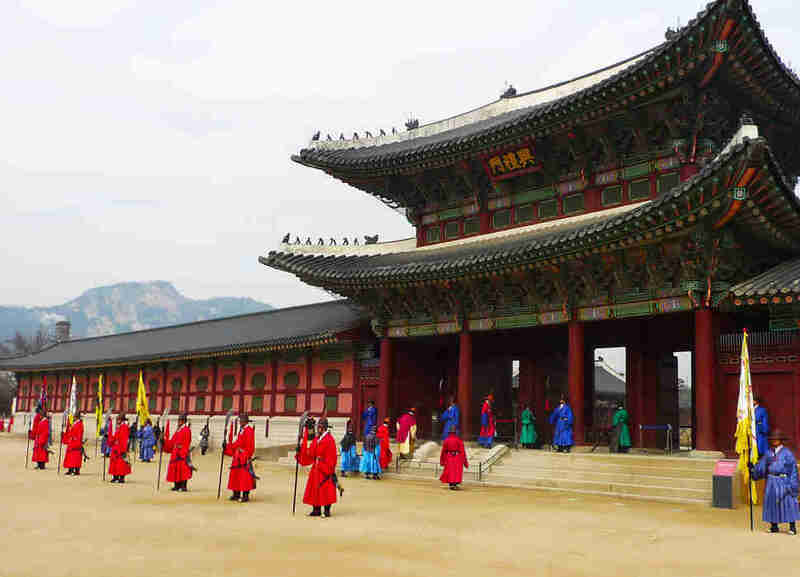 Most are in Asia, but tour these and pretty soon you'll notice pagodas all over the world. 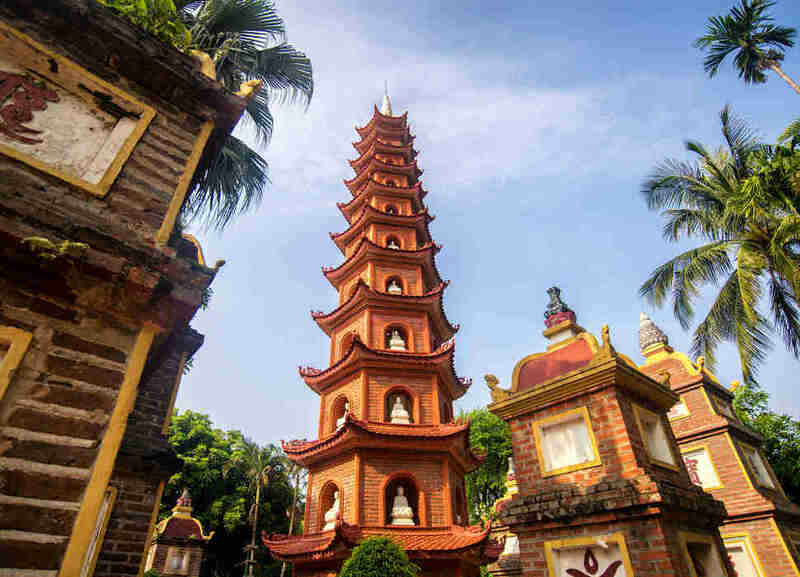 If Willy Wonka lived in a pagoda, this would probably be it. 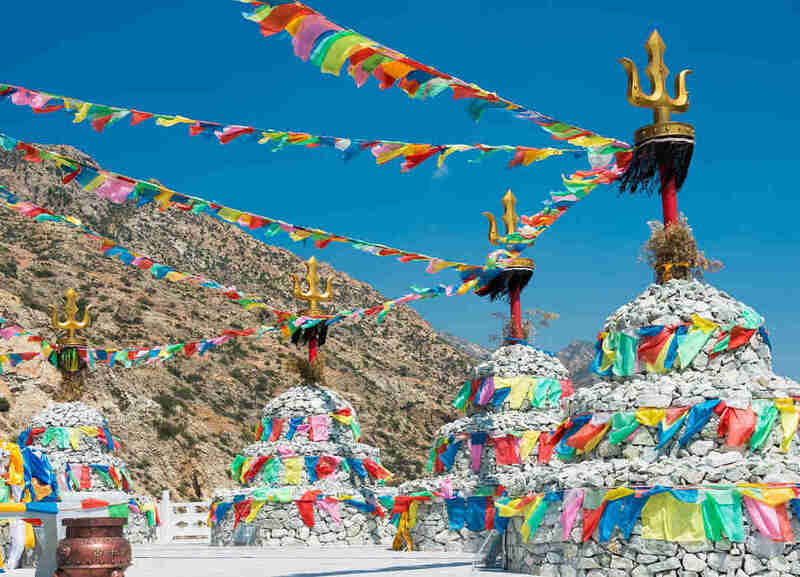 And not just because of its heavily spiritual community (it is the center of worship for Taoism), or because the entrance pathway to the temple is a replica of the Great Wall of China. But more because there's a very mythical-looking dragon swimming in the front yard. 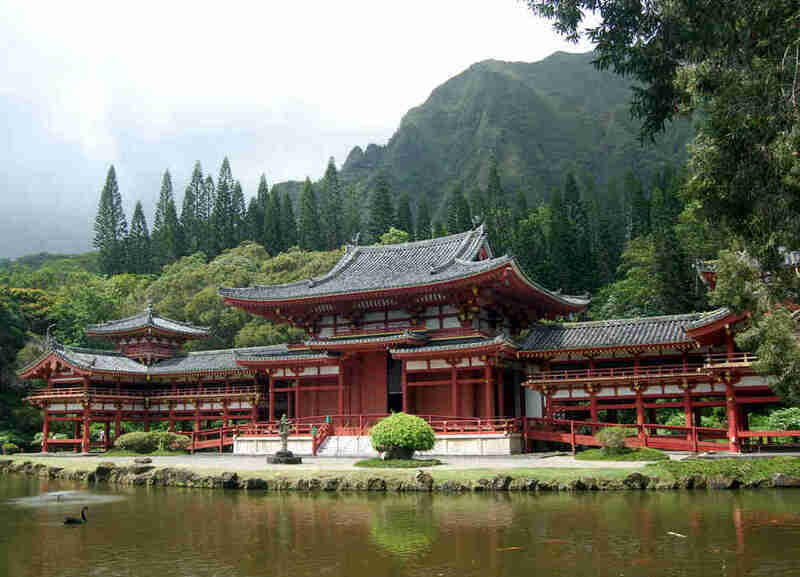 If you can't make it all the way to Japan, stop in near a hillside cemetery in Oahu to visit this replica of a 900-year-old Buddhist temple at Uji in Kyoto. Ring a bell, feed some koi, light a candle, go for poi. Gold pretty much everywhere? Check. A roof covered in almost 5,000 diamonds? Yep. One of the largest structures in the world? You know it. Welcome to the P. Diddy of pagodas. 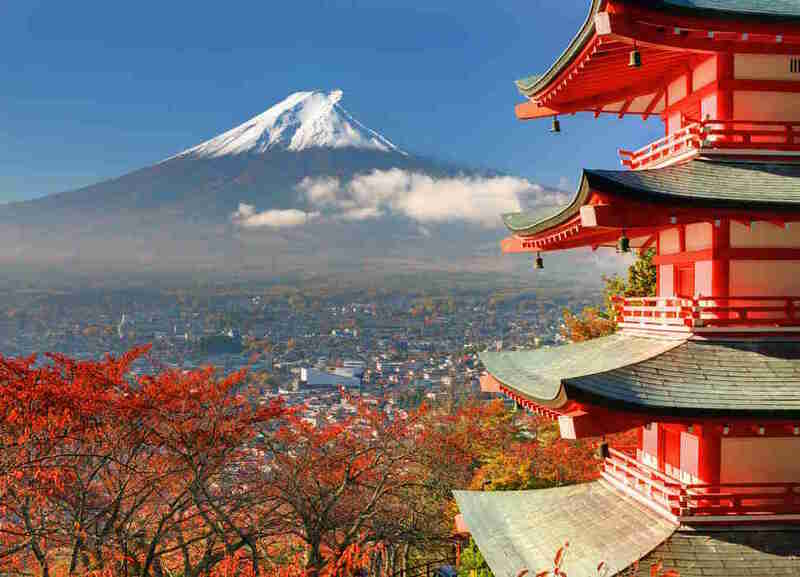 Any pagoda (or cherry tree, or person, or object of any sort) looks all the grander set against a backdrop of Mount Fuji. 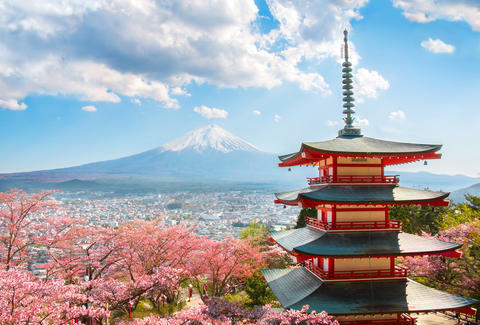 This iconic Arakurayama Sengen Park pagoda, built as a peace monument in 1963, is an easy trip by train from Tokyo, contributing to its status as an Instagram mecca. That phrase "open up like a lotus flower" was actually the blueprint for this one. Completed in the year 545 -- no, there're no digits missing from that birthday -- it was moved in the 1600s as a shifting river threatened it. 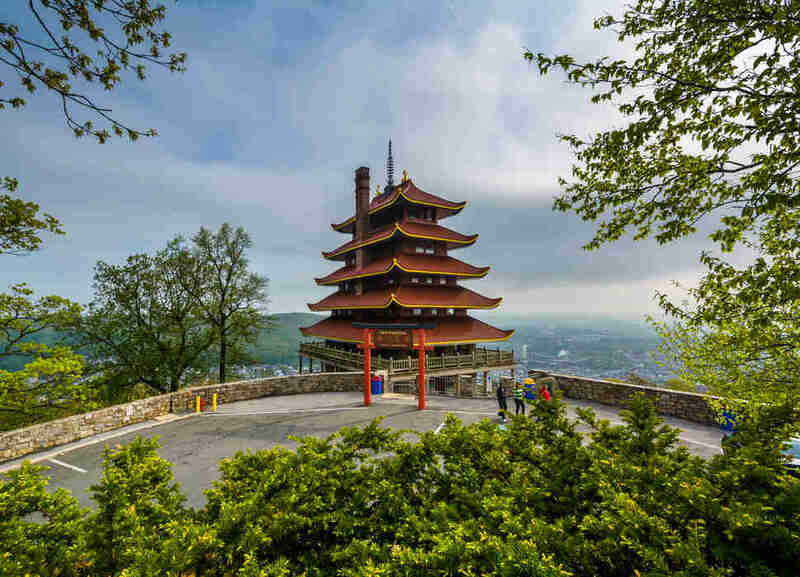 No one knows pagodas like the Keystone State, right? It's not a place of worship, but it is now more than a century old -- vintage that definitely adds some legitimacy to the cafe and gift shop. This structure reputedly holds -- wait for it -- more than 500,000 pictures of Buddha, accumulated since it opened in 1303. 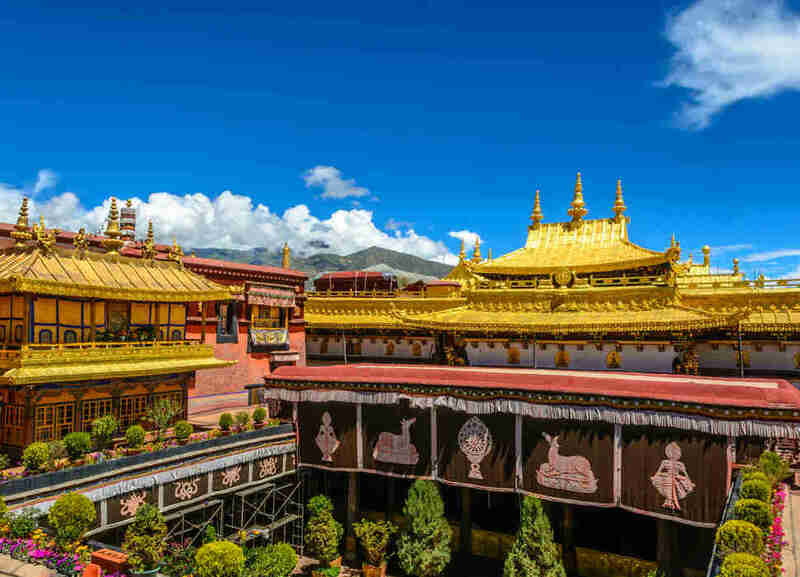 The most sacred temple to the Tibetans, Jokhang is literally twice the side of the other dozen in the area -- which is probably why it took nearly 1,000 years to build it. This 1,671ft-tall behemoth -- the tallest building in the world for five years in the aughts -- recalls a Chinese-style pagoda with its flared tiers: eight of them, an auspicious number in Buddhism, which celebrates the Noble Eightfold Path. 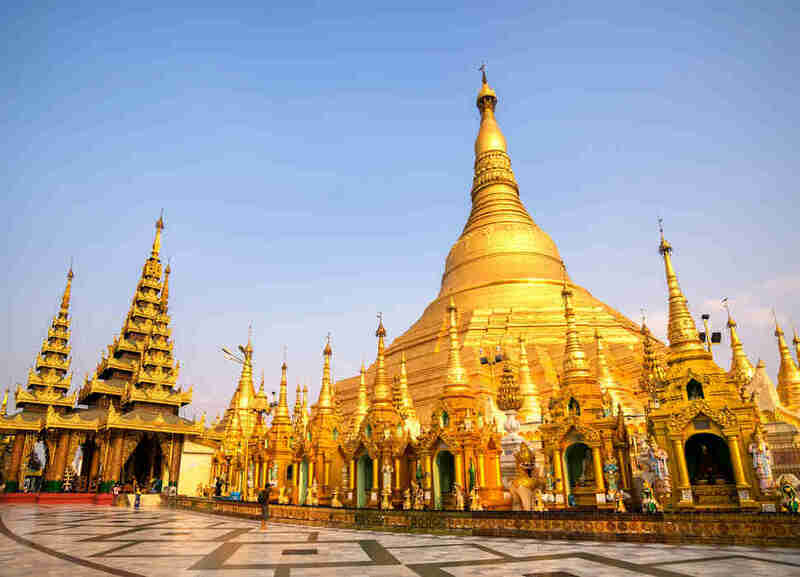 It's either not at all a pagoda, no way, no how, or it's the flat-out baddest pagoda in the history of the world, built to withstand the strongest earthquake during a given 2,500-year span. Like so many of the pagodas here, it'll be standing for a while. Liz Newman is a contributing writer to Thrillist, and unfortunately has only visited the Piercing Pagoda so far in her lifetime. Follow her as she seeks to visit the ones that are not mall kiosks on Twitter and Instagram @lizn813.